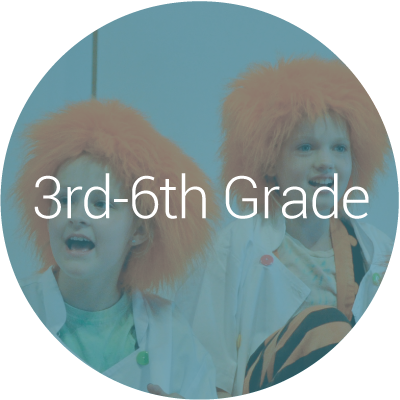 Studio East has served the Eastside with summer theater camps and productions since 1993, and every summer we offer old favorites and exciting new programs. Our one and two-week camps are a great way to get a taste of theater, learn something new, or improve existing skills for students ages 4-19. 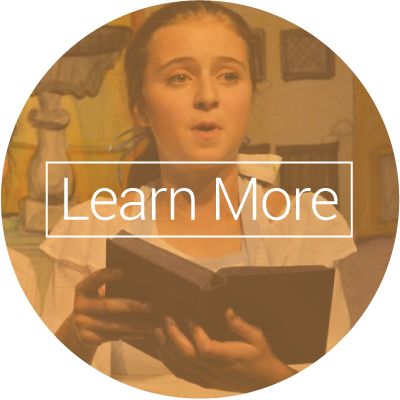 We invite all interested kids and teens to sing, dance, act, laugh, perform, and make new friends this summer with Studio East! Grade refers to the student’s grade in Fall 2019. Click the schedule to enlarge. Most camps are held at various locations in Kirkland, not at Studio East. Start/end times and performance times on the final day of camps have been staggered to accommodate families with campers in multiple camps. 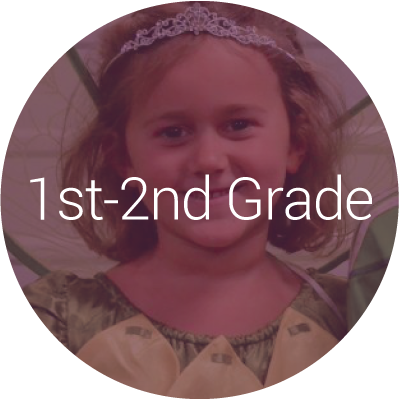 Age 4 refers to the student’s age on the first day of camp. Exceptions are only made by permission of the Education Director. Extended Care is available for select camps. Note: Grades refer to a student’s placement in Fall 2019. Age 4 refers to the student’s age on the first day of camp. We offer three different ways for you to register for summer programs. Please be sure to read through our Registration Policies. Method 3 – Register By Phone Starting May 1! If you are sending your form via email, we encourage you to leave the credit card information blank and to give us those details over the phone or in person. A submitted form does not guarantee your registration. We will contact you within 3 business days by email or phone to confirm your registration. Please feel free to call the office with any questions or concerns you might have about our programs and instructors. We look forward to speaking with you! Q: How do I register for summer camps? Summer camps are live for registration right now! Visit the Summer Program Registration webpage to learn how to register. Starting May 1st you may also register by phone by calling the Studio East office during business hours (9:30am-5:30pm) at 425-820-1800. View the full schedule of camps above. Q: What happens if the camp I want to register for is full? We will put your student on a waitlist and notify you if space becomes available. If you wish to also register in another camp to be assured of a spot in one of our camps, we can put your student on the waitlist for the full camp and accept a registration for another session. If you are offered a spot in the camp for which you were waitlisted and you decide to switch, you will be charged the standard $25 switching fee. Please see next question. Q: What if I need to cancel or switch camps? Will I get a refund? Full tuition is due at the time of registration. There is a nonrefundable registration fee of $50 per child per camp for reservations canceled up to 2 weeks prior to the start of camp. Switching between camps is allowed, based on availability. There is a switching fee of $25 per switch. There is no refund or credit if you cancel your registration within 2 weeks of the start of camp. Q: Where are Studio East Summer Camps held? 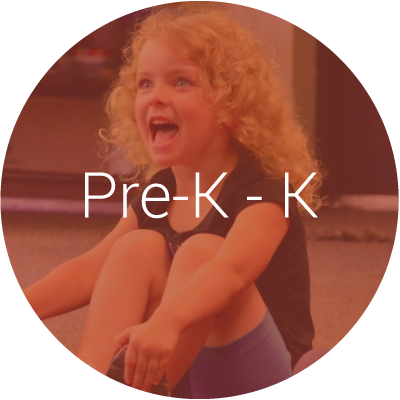 Summer Camps are held at various locations in Kirkland and Bellevue at schools, churches and community centers. Registered families will be notified via email of the camp location as soon as our venues are confirmed – usually by early April. Note: If you need wheelchair access to a camp venue please contact our office for any special instructions. Q: I have more than one child and I want them in camp during the same weeks. How will this work when their camps are not at the same location? Studio East runs over 40 camps each summer and we typically start 4-6 camps each week. We partner with local schools, churches, and community centers to provide kid-friendly spaces for our camps. We know parents often like to have their children in camp during the same weeks, so we have structured our programs with staggered start and end times to facilitate drop off and pick up. We also stagger performance times so that parents can attend up to three different performances on the final Friday of camp. View photos and biographies of our faculty here. All of our instructors are passionate about working with young people and sharing their expertise in the performing arts. 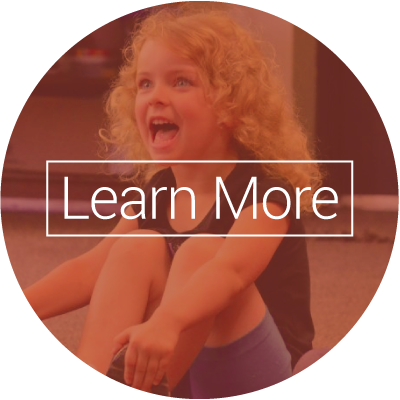 Most of our instructors have been teaching for more than five years, many have Master’s degrees and/or teaching certificates, and all are Teaching Artists – active performers as well as teachers. We run Washington State background checks on all of our staff, and all of our Camp Instructors are trained in first aid and CPR. Q: What do I need to bring to camp? A sack lunch, snack and a water bottle should be brought to camp every day. You will receive a specific list of other items to bring once you have registered in a camp. We recommend that students bring a backpack to keep their materials organized. Q: What should I NOT bring to camp? Prized possessions, especially electronic devices, should not be brought to camp. The campers will be so busy with fun activities that they won’t have time to play video games or check their text messages! Q: Can my child with special needs attend camp? Studio East Instructors are usually able to create ways for children with special needs to succeed. Please write down all medications, disabilities, and any physical, emotional or behavioral challenges your child may have on your student’s Medical Information Form, and discuss them with the Education Director prior to the first day of camp. This information will make our instruction more effective and your child’s experience more rewarding. All staff and instructors follow the Studio’s Confidentiality Policy, so your privacy will be protected. Please note that staff members cannot monitor or administer medications. Q: Can I stay with my student during camp? Studio East wants to create a safe and comfortable environment for all our students and parents. We have found that students often participate more freely when parents are not there to watch camp, so we try to limit parent observation to the first 20 minutes of the first day of camp. Q: What is your attendance policy? What should I do if my student will be late or absent for a day of camp? We expect all students to be in camp every day, arriving and departing on time. If you foresee a conflict with a portion of camp, please contact the Education Director in advance to talk through options in order to ensure a successful experience for your student, as well as his/her classmates. Missing more than one day of camp could hinder the process for all of the campers and staff, so please check your calendar carefully. If something comes up at the last minute, such as illness, please call our office as soon as possible so that we can notify the Instructors of your child’s absence and allow them make any necessary adjustments for the day. June 24th through August 30th our office will be open from 8:30AM-5:30PM. If you call outside of office hours, please leave a message. Q: Do you offer Extended Care for working parents? We are pleased to offer Extended Care until 5:30PM for all of our Little Players, TaleSpinners, Drama Medley, Summer Stage and Playmakers camps. Due to our varied camp venues and staffing needs, we are unable to offer extended care for our other camps. Students age 12 and older may be able to earn Tuition Credits for Studio East programs by assisting classes and camps. Skilled teen dancers with an inclination to choreograph may also earn Tuition Credits as Intern Choreographers with our elementary school ArtReach! program. Contact Corey Dunne, Education Director, for more information, at (425) 820-1800 x 108. Limited Tuition Credit opportunities are also available to parents who can offer administrative and transportation assistance during Summer Camps. Contact Corey Dunne, Education Director, for more information, at (425) 820-1800 x 108. All locations are in Kirkland and Bellevue. Start/end times and performance times on the final day of camps have been staggered to accommodate families with campers in multiple camps.